Meet Shark. 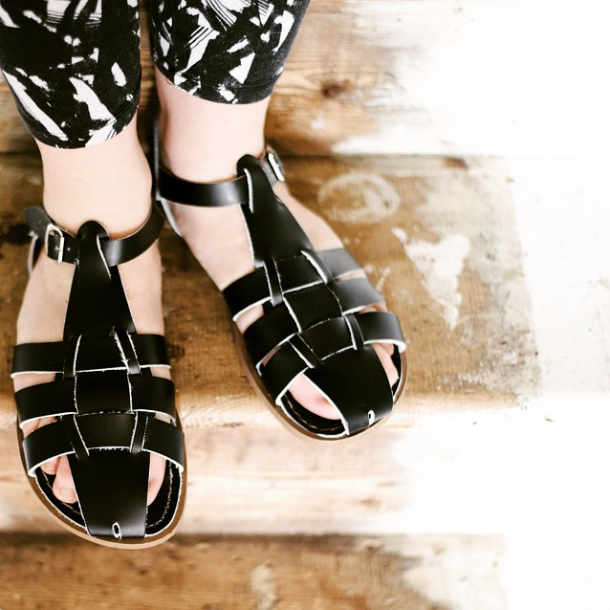 Shark is a brand new sandal style from Salt-Water sandals and I LOVE it! If you’re not familiar with Salt-Water, I’ll get you up to speed. 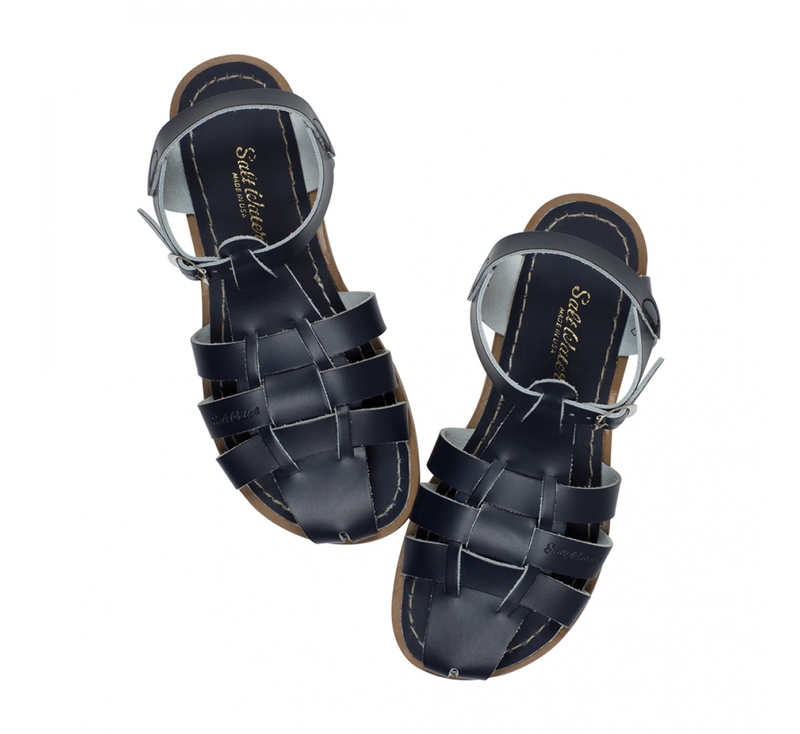 Founded by Walter Hoy in St Louis, U.S.A during the leather shortage after World War II, Salt-Water originally used scraps of leather that were left over from making military boots to make its sandals. They are also completely waterproof, as the leather is coated in a sealant and the buckles are rust-proof. So they’re brilliant if, like me, you spend a lot of your summer swimming in the British sea (not exactly white sandy beaches) or fishing for mackerel from a small boat (I admit, I have only done this twice, but I plan to do it again and I will be wearing Salt-Water sandals when I do it). Anyway, the Shark is a style that has been discovered in the archives and is new for this summer. It’s a more traditional fisherman-style of sandal (the enclosed toe is what makes it a fisherman sandal) and that makes it more versatile than the more traditional sandals style that you might be used to from Salt-Water. They’re available in four colours – black, navy, silver and white – and I’ve already ordered mine in navy. I’ll be wearing them with turned up jeans and Breton stripes (OBVS!) but what I love about them is that they’ll also look great with socks. With tights, even – if they’re of the thick, ribbed variety. Oh, and you can wear them swimming/in the rain/to a festival and they’ll still look good as new. What’s not to love? I prefer the kids version with the thicker, white rubber sole. I’m not convinced the really flat ones are comfy. Shame they don’t come in adult sizes. They’re slightly small. So as a UK 4 I wear a Salt-Water 5. They have conversions on the website.